 In order to gain a deeper knowledge of the natural environments which characterise the region of the Nature Park of Upper Valsesia and make it so fascinating, visit the Naturalistic Museum at Carcoforo. Inaugurated in September 2003, it is located in a historic Walser house expressly restructured to house the museum, thus skilfully combining nature and tradition. This museum, which has also become an important centre for cultural, educational and scientific activities, consists of three rooms; a reception room, equipped with two multi-media stations providing various information about the Park; an exhibition room equipped with information panels which illustrate and describe the principal environments included in the Park and the flora and fauna which live there; and a multi-purpose hall, ideal for exhibitions and meetings. Moreover, the museum has scientific equipment at its disposal which can be used for research and educational activities.